This one is simply made for your customers who fall into the High Net worth Individuals bracket. 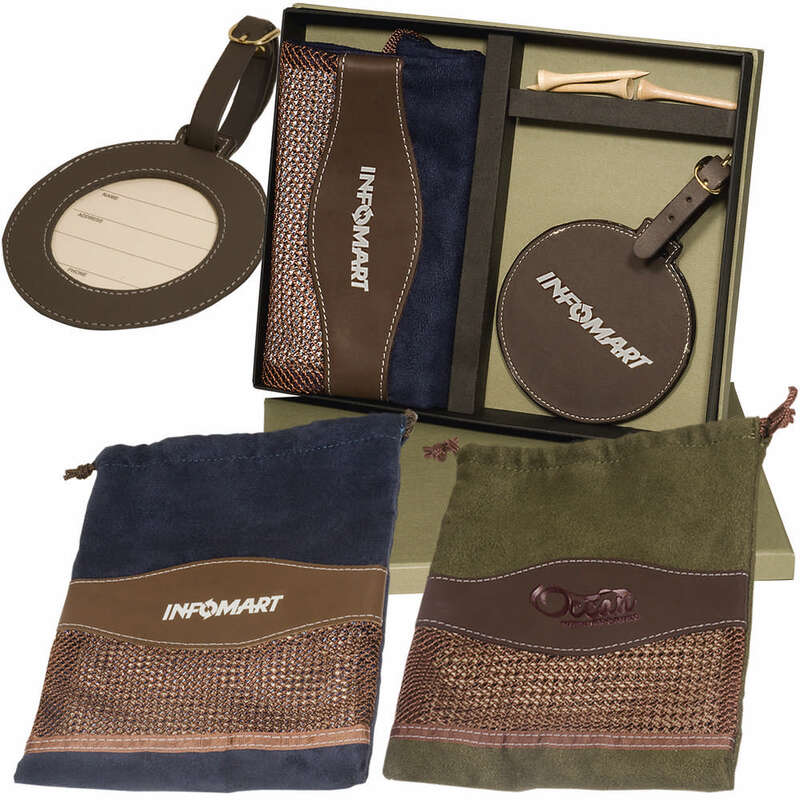 With your logo neatly imprinted on this Woodbury ™ Golf Pouch and Round Golf Tag Set, your brand recall is always ensured thus giving a great impetus to your business. 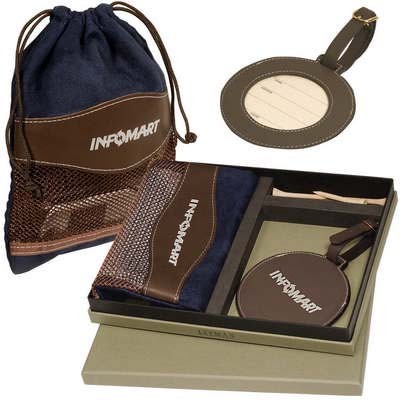 This classic stylized accessory combines the Woodbury Round Golf Tag and the Woodbury Valuables Pouch to take care of your customer’s golfing needs and performance. 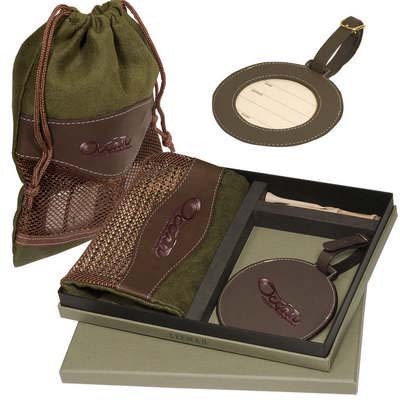 The set Includes wood tees in a textured green gift box and a pouch that features ultra-suede pull-cord closure, durahide trim and nylon mesh accents. The golf tag very thoughtfully features name and address card and the price includes embossing on tag and pouch. The box can also be imprinted. Thus the golf pouch and golf tag Set makes for a fantastic giveaway.